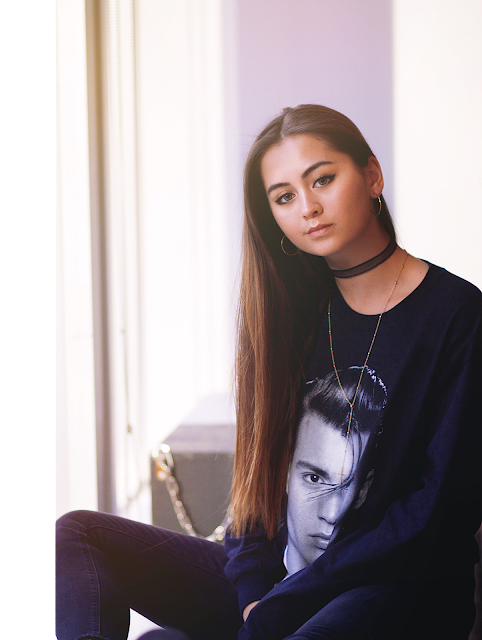 Hailing from London, England, Jasmine Thompson’s voice has garnered worldwide attention over the past few years for its dreamy and expressive style. At the age of 16, her music has already amassed an incredible 1 billion total streams worldwide and once you take a listen, you won’t have to wonder why. Thompson’s vocal quality is reminiscent of an indie singer/songwriter who really knows her way around her instruments and vocal range. She’s already spent half her life honing her craft, getting her start by learning piano and taking singing lessons at the age of eight years old. This is reflected in the mainly raw, acoustic style of her covers. Since stepping into the spotlight, she feels that traveling and being exposed to the music industry has helped her grow exponentially. Additionally, it has made her more aware of the power one voice has, and how she can use hers to leave a positive impact on the world. Her first two albums are titled Bundle of Tantrums and Another Bundle of Tantrums, released when she was 13 and 14 years old, respectively. You’re surely thinking to yourself that there must be an interesting story behind these title choices. In her own words, Jasmine explains, “Well, I wasn’t a moody child. To be honest, I was kind of the opposite. A couple of years ago my mum’s boyfriend said 'TantrumJas' as a joke because I was probably having a mood with him. And it just kind of stuck.” This is also where the inspiration for her Twitter handle came from. Jasmine has been online since 2010 and loves interacting with her followers and creating close connections. It is not unlike her to go out of her way to create meaningful experiences for her fans. One Polish fan wasn’t able to make it to Jasmine’s concert in her area, but while she was visiting London recently, the two met up for coffee and ended up becoming good friends over some nice conversation. There is also a group of girls that Jasmine always meets up with at McDonald’s when she is in Hamburg, Germany. It is these personal connections and caring relationships that set Jasmine’s fan base apart from those of other stars of the same caliber. they aren’t alone in feeling lost sometimes." When writing songs, Jasmine takes a unique approach. She starts with melodies, catching herself humming random tunes then building chords around them on the piano. Then, she bases her lyrics on the feelings that those orchestrations give her. This is relatively new territory because her first two albums have been comprised of acoustic covers. Her newest single is titled “Old Friends” and is part of her newest EP, Wonderland, due out on May 19th. Jasmine commented that this album is a personal look into her view of growing up and new experiences. Some of these experiences include rebuilding a relationship with her father after her family split due to his alcoholism. Her goal behind this approach is to be more open with her followers about her life, addressing some issues to show them that they aren’t alone or feeling lost. Following this release, Jasmine will be embarking on part one of her Wonderland Tour from May 23rd to June 12th playing venues in New York, Hamburg, Munich, Milan, Paris, and London. Even if you can’t make it to one of these shows, you’re going to want to stay connected with her at her website jasminethompson.com or @TantrumJas on Twitter and Youtube! Jasmine's a beautiful singer and lady. Jasmine is one of the most talented youngsters I know. She has about everything, beauty, voice, creativity, good tastes, a wonderful mum, in brief all she need for success, which she already has. She deserves it. On of the best articles I read so far!